We are convinced that education is one way to help children break the cycle of poverty and help them towards a brighter future. Christel House International has received a grant of $200,000 from the Stichting af Jochnick Foundation. This one-year grant provides school uniforms for the students of Christel House Mexico (CHMX) and covers two-thirds of the learning center’s nutrition program. This is the second grant the Jochnick Foundation has awarded Christel House International. 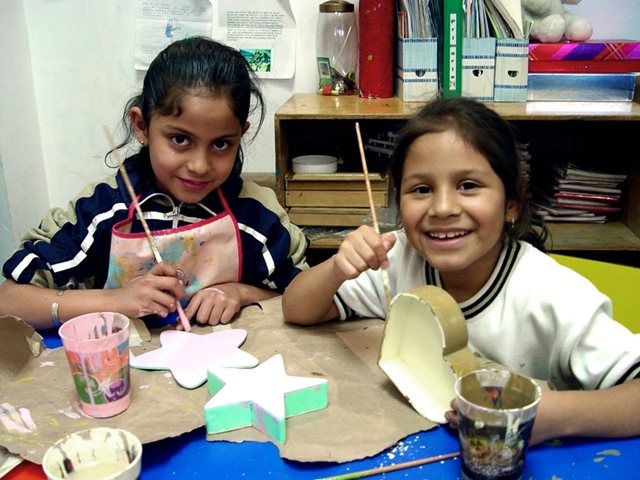 CHMX was established in 1998 and currently serves more than 450 students in grades 1-9 who live in the deeply impoverished neighborhoods of Mexico City. All Christel House learning centers provide access to high quality education, nutrition, health care, life skills training, character development and career counseling with the goal of addressing the root causes of poverty. Since 2004, the Stichting af Jochnick Foundation, based in the Netherlands, has supported projects that focus on children, youth, education and world health. To date, the Foundation has helped educate more than 89,000 children. Their goal is assist more than 100,000 children by 2014. Christel House International (CHI) is tackling poverty and leading the effort to transform generations of at-risk communities. CHI was established in 1998 by founder Christel DeHaan and currently serves over 3,600 impoverished children around the world. By providing high quality education, nutritious meals, regular health care, character guidance, life skills development and career counseling, CHI helps students grow into confident, competent young adults. Family and community workshops also help to improve children’s home environments. CHI operates five learning centers in India, Mexico, South Africa and the U.S.A., as well as work-study and career development services in Venezuela. For more information, please visit http://www.christelhouse.org. The Stichting af Jochnick Foundation was established in 2004 by the af Jochnick family who wanted to contribute to the greater good and give something back to society. After establishing Oriflame Cosmetics (http://www.oriflame.com) in 1967, Jonas and Robert af Jochnick started visiting developing countries. It was then that they realized the tremendous need for social contribution. For more information, please visit http://www.afjochnickfoundation.nl.